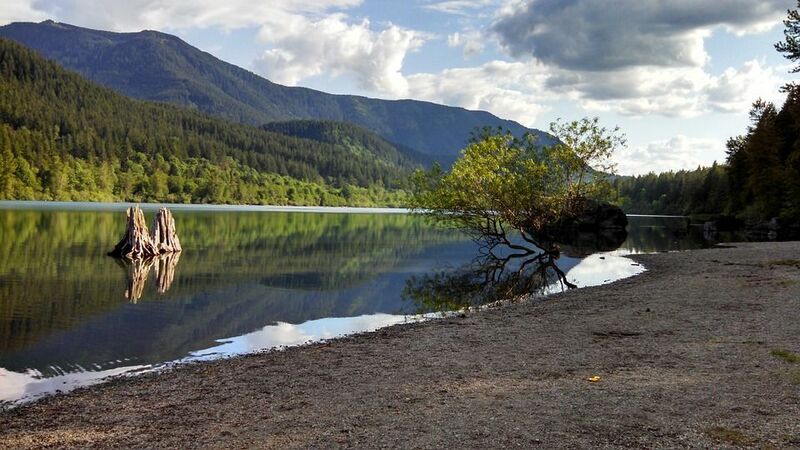 Rattlesnake Ridge is a favorite spot for hiking and swimming when days are warmer. It is a 5 miles long trail. Lower ledge is around 2 miles and Upper Ledge is around 0.5 miles, that makes round trip approximate 5 miles. You can start hiking early in the morning or late in afternoon to avoid the crowd. During peak hours it becomes a crowdy place and hiking becomes difficult. Also, parking your car can be a challenge during peak hours. Starting hike early in the morning will give you a change to capture sunrise moments. You can see panoramic view of Mount Si and Mount Washington from the top of Rattlesnake Ledge. It is worth to watch the panoramic view. At many points you will find hike moderately tough with steep slopes. Rattlesnake Ledge is very crowded and very steep at the top, so kids should not be left alone at any point of time. It will take around 3 hours for round trip, but it may vary depending upon your hiking speed and the time you spend at top of Rattlesnake Ledge. 1. It is advisable to check weather before visiting Rattlesnake Ridge. You can check current weather from https://www.weatherforyou.com/reports/index.php?place=rattlesnake+trail&state=wa. 2. You can visit Rattlesnake Ridge at anytime of year however hiking should be preferred during summer for safety reasons. 3. If you are moderate in hiking, you can enjoy hiking here. For beginners, it may take 2-3 hour to reach at top. 4. Use good pair of hiking shoes and trekking pole for hiking. 5. Carry some snacks/fruits, water, juice and camera with you. 6. Keep Sunscreen, Lip balm and first aid kit with you.